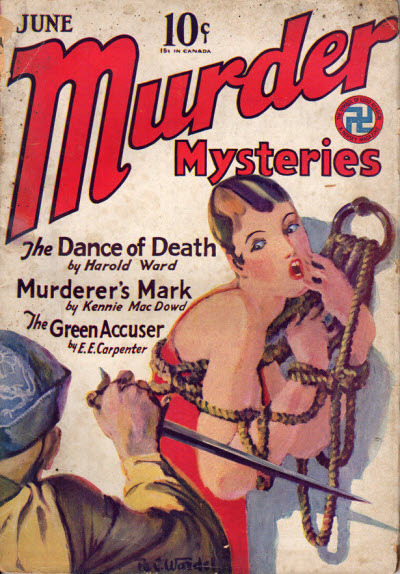 Other sources give this as v1 #1, dated December 1942. Incomplete Data - Issue not found. 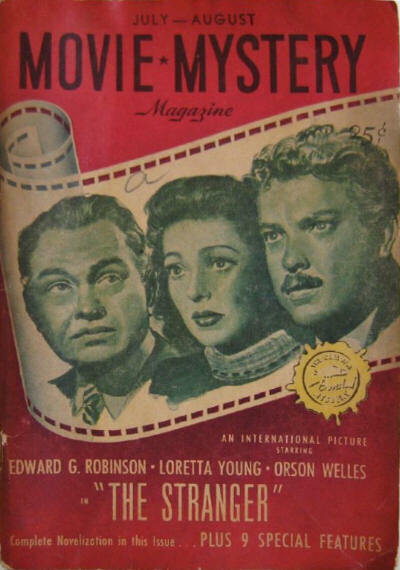 Movie Mystery Magazine was a digest magazine, printed on the rough paper of the paperbacks of the day, and featuring one novelization of a movie in each issue. 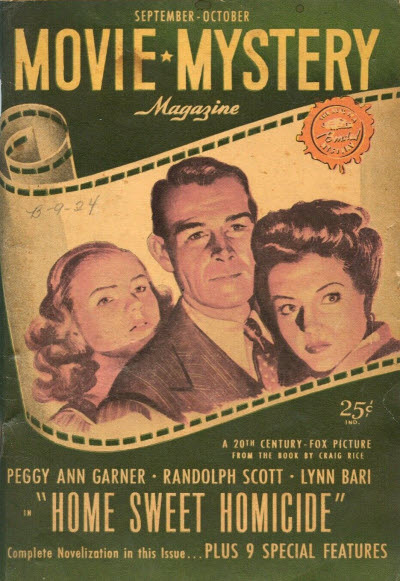 It stood little chance when competing with the slick, large, movie magazines of the time and folded after three issues. 7 · The Stranger · Cameron Blake & Orson Welles · sa; novelization by Blake of the screenplay by Orson Welles. Home Sweet Homicide · Craig Rice · sa; novelization of the film based on Craig Rices novel of the same name. 20 · The Chase · Anon. 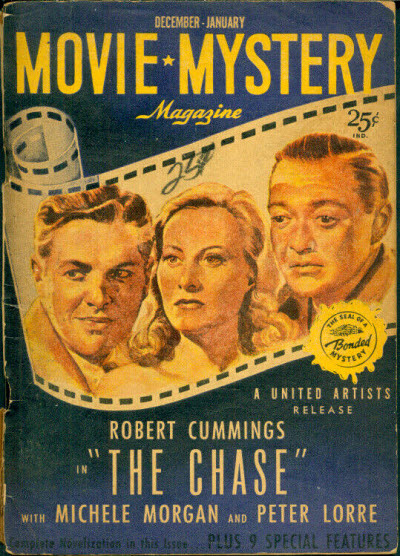 · sa [Cornell Woolrich]; novelization of the movie The Chase which was derived from the Woolrich novel The Black Path of Fear. 114 · Reel Crime · Craig Rice · pz; a photo puzzle. 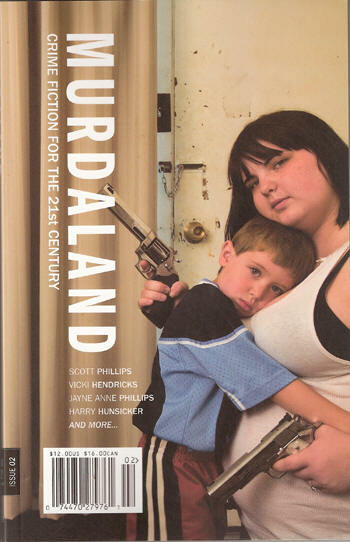 Although no author is listed in the Table of Contents, in the text the story is by Craig Rice. 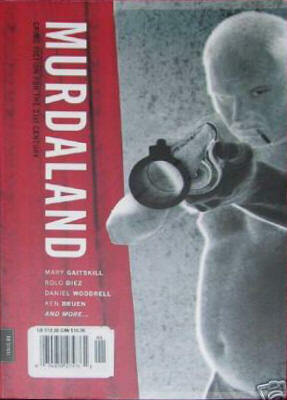 Subtitled Crime Fiction for the 21st Century, Murdaland was a literary magazine dedicated to fiction that evokes the spirit and motifs of classic crime novels and film noir: dread, lust, violence, greed, nasty habits, bad feelings and worse decisions. 105 · Frank Hamm · Mary Gaitskill · ex; from a work in progress. Termite Makes the Shape · Jayne Anne Phillips · ex; from the forthcoming novel Lark and Termite (Knopf, 2009). 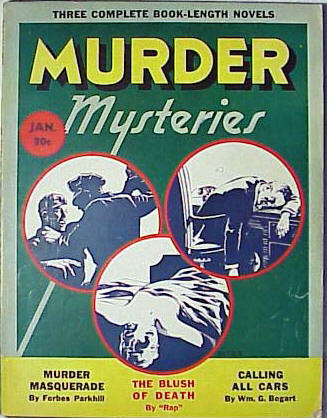 Launched after the success of Manhunt, Murder featured the same mix of contemporary murder and crime-adventure stories, but was discontinued in the face of fierce competition before establishing its identity with the reading public. 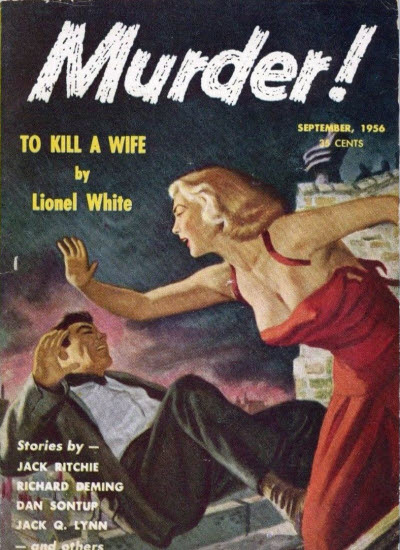 The title is given as Murder! on the cover only. 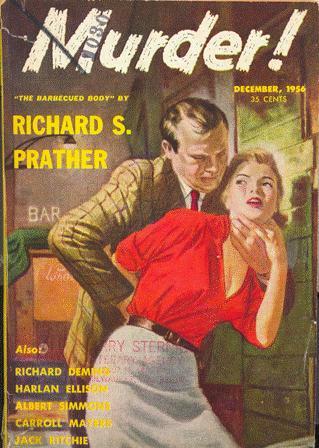 Flying Eagle Publications, Inc.; 545 Fifth Avenue, New York 17, NY: Murder, Sep 1956  Dec 1956. 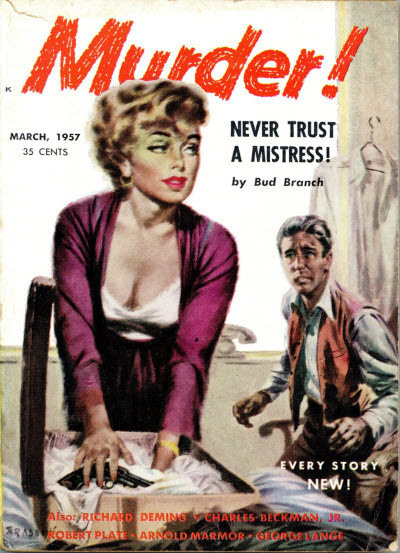 Fine Art Publications, Inc.; 545 Fifth Avenue, New York 17, NY: Murder, Mar 1957. 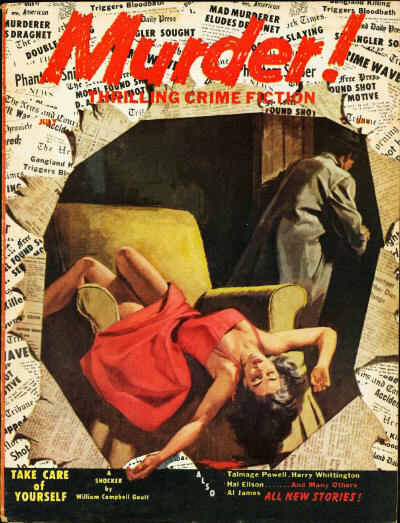 Decker Publications, Inc.; 122 East 42nd Street, New York 17, NY: Murder, Jul 1957. 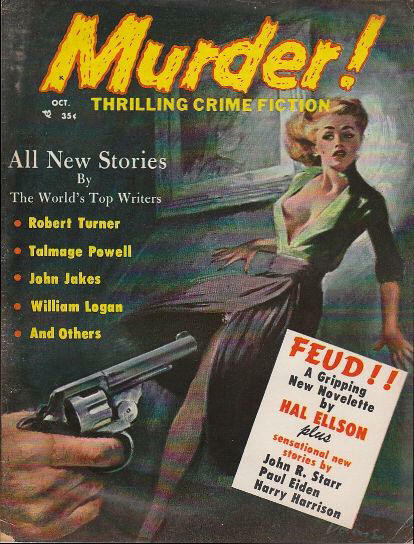 William Manners - Editor: Murder, Sep 1956  ? 1957. 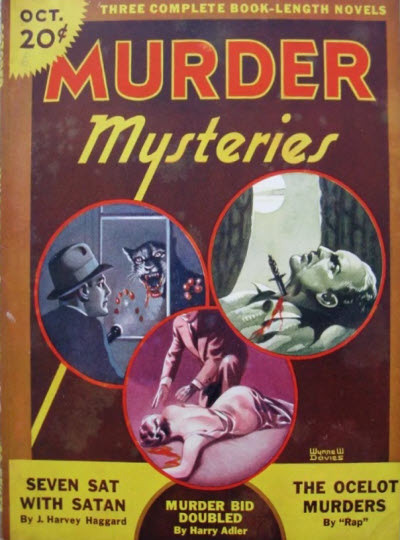 L. B. Cole - Editor: Murder, ? 1957. Given as v2 #1 in the Table of Contents. Details supplied by René Beaulieu. Details taken from Table of Contents. 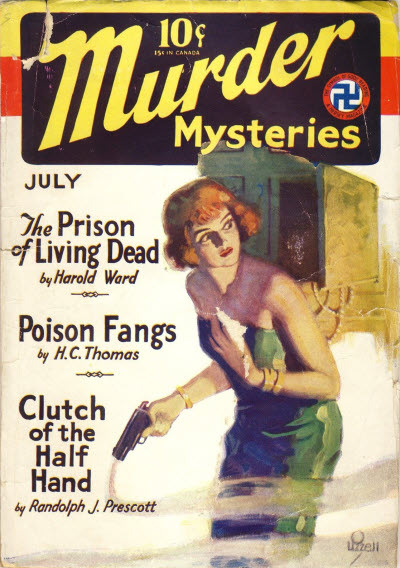 Harry Harrison is listed on the cover as a contributor but does not appear inside. 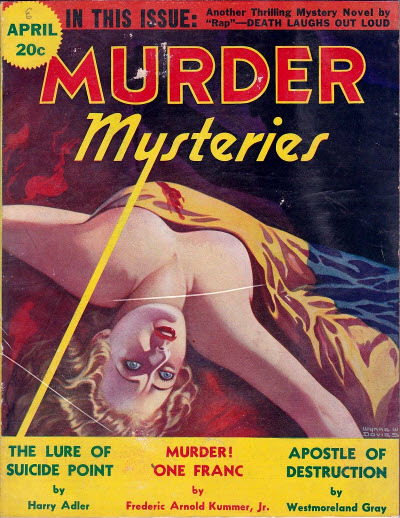 Short lived pulp magazine about which little is known. 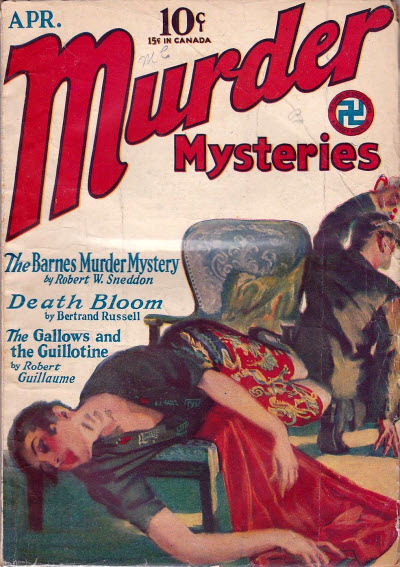 9 · Death Bloom · Bertram Russell · ss; given as by Bertrand Russell on the cover. 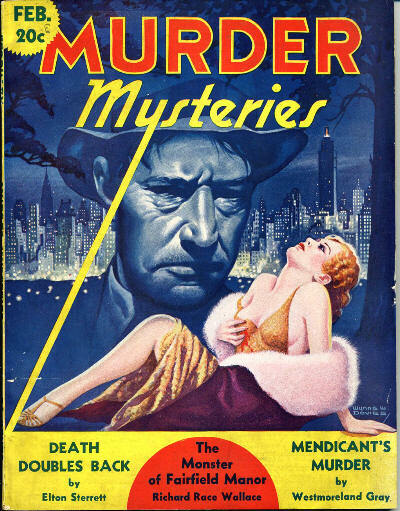 A very uncommon title, not to be confused with the earlier Hersey magazine called Murder Mysteries or the later Blue Ribbon magazine called Detective and Murder Mysteries. 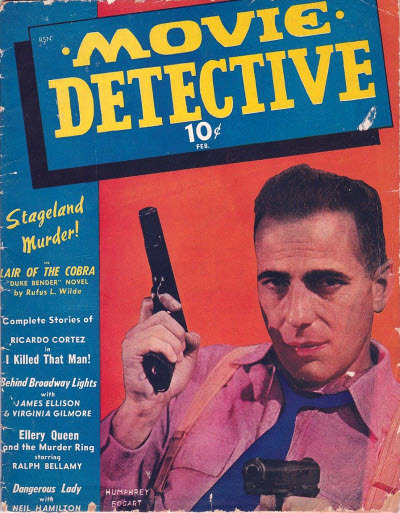 Very little is known about the magazine, and it is not even clear how many issues there were. 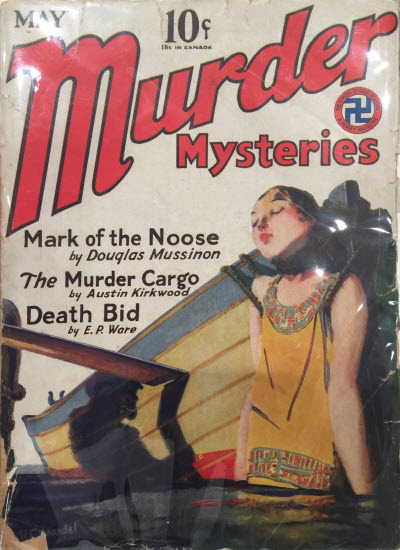 The numbering of the October 1936 issue as v1 #9 suggests two further issues between May 1935 and October 1936, but none have ever been located. 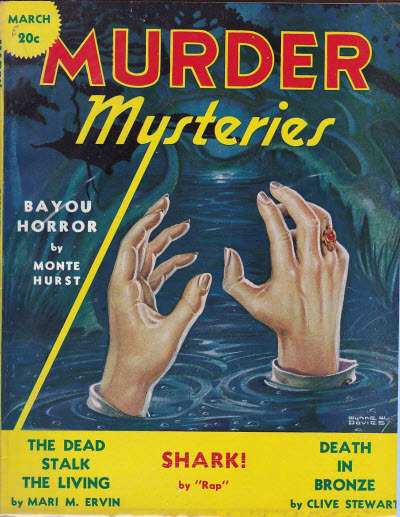 Mark T. Pattie - Editor: Murder Mysteries, ? 1937.